Whether you’re into music, the arts, shopping, food or sport, Manchester has the range of facilities and opportunities to suit your tastes. The city is rich in music venues, large and small. 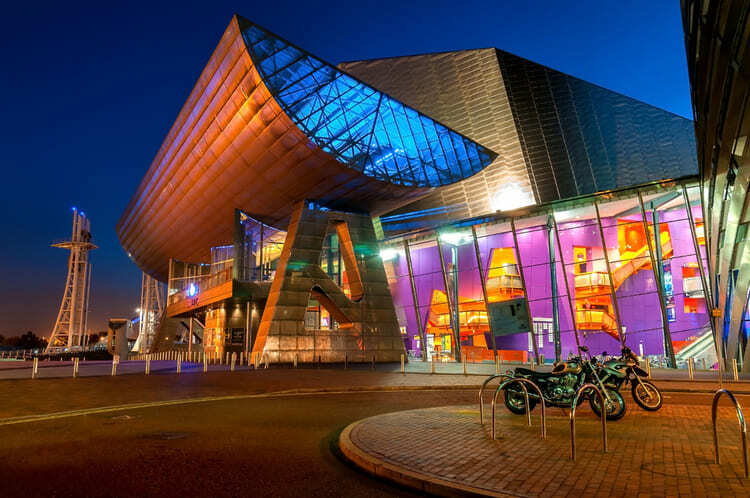 It has two symphony orchestras, an internationally acclaimed opera house and Manchester Arena, one of the largest and busiest indoor arenas in the world with some 21,000 seats. This and smaller venues such as Manchester Apollo and the Manchester Academy showcase a vibrant music scene. The arts are also thriving in Manchester, with a number of galleries and theatres showcasing the best of traditional and contemporary culture. And, from high street chains to designer boutiques and vintage stores, shopping is great here. From the famous Curry Mile in Rusholme, with over 50 restaurants serving Indian and Pakistani food, to Thai, Chinese, Japanese, Italian – Manchester offers something for everyone. There are also plenty of Halal and Kosher retailers across the city, and a range of vegetarian and vegan cafés. Sports fan will find plenty to keep themselves occupied. As well as big football clubs like Manchester United and Manchester City, our city also has an Olympic size swimming pool at the Manchester Aquatic Centre, and a velodrome, while Lancashire County Cricket club is close by. If you prefer taking part, there’s the chance to experience just about every activity you can imagine, from rock climbing in the nearby Pennines and Peak District to the UK’s longest – and the world’s widest – real-snow indoor ski slope at the Chill Factore.